This toddler was alarmed at the approach of a stranger despite the safety bars and sitting with her mom’s arm around her. I can’t imagine her feelings if she was alone and in a cage. 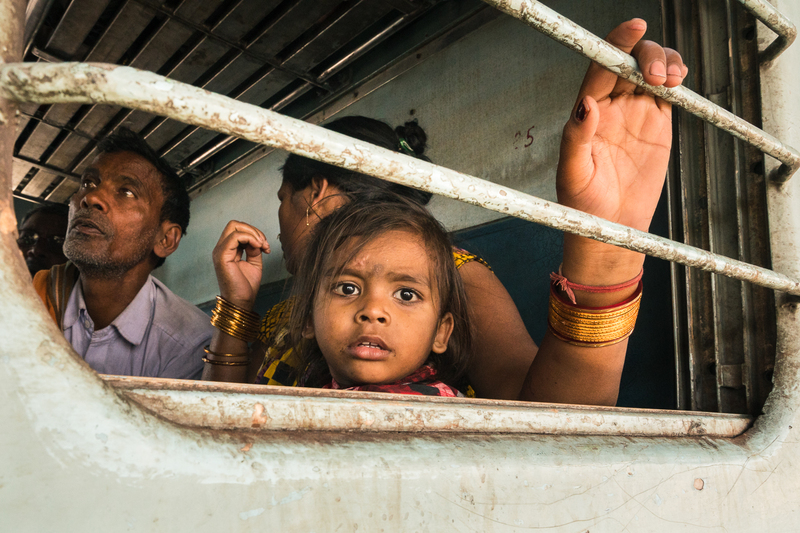 Posted in India, VaranasiTagged Everyday Life, Families, India, Indian Railways, Photography, Street Photography, Train, Train Car, Train Station, Travel, Travel Photography, VaranasiBookmark the permalink.